로이터, 박근혜 성격, 세월호 정국 타개 걸림돌 - Newspro Inc.
로이터가 세월호 참사 정국으로부터 필사적으로 벗어나려는 박근혜와 그 정권을 돌아보는 기사를 내보냈다. 로이터는 22일 ‘Ferry Disaster Weighs on South Korean President-세월호 참사 한국 대통령에 큰 부담이 되다’라는 제목의 기사를 내보내며 박근혜의 성격이 세월호 참사의 상처를 치유하는데 방해가 되고 있다고 지적했다. 특히 로이터는 박근혜의 인격 형성에 영향을 준 과거의 사건, 즉 육영수 여사와 박정희의 죽음, 아버지에 대한 강박감 등에 대해서 언급하며 박근혜의 성격, 즉 냉정하고 의심 많은 성격이 세월호 참사로 인해 슬픔에 잠기고 양극화된 국가를 치유하는데 장애가 되고 있다고 짚었다. 로이터의 이 기사는 박근혜에게 매우 호의적으로 쓰였지만 박근혜가 세월호 참사에서 리더십을 발휘하지 못하고 여전히 세월호 참사에 발목이 묶여 있음을 보여주고 있다. 로이터는 5년 단임인 한국의 대통령은 임기 중반부터 레임덕에 빠지는 경향이 있다며 아직 임기가 3년이나 남았지만 박근혜에겐 레임덕이 오기 전에 국가를 참사에서 벗어나게 이끌어야 할 긴급한 필요성이 있다고 박의 세월호를 건너 뛴 경제 활성화 명목의 강력한 정책추진의 배경을 설명하고 있다. 로이터는 그러나 전직 대통령이었던 아버지와 어머니가 암살당한 자신의 비극적 과거 속에 뿌리를 내리고 있는 것처럼 보이는 박근혜의 냉담하고 의심 많은 리더십 스타일은 슬픔에 잠기고 양극화된 국가를 치유하는 데에 장애가 되어왔다고 지적하며 세월호 참사에서도 초기와는 달리 지금은 박근혜가 아예 부재(不在)하는 것처럼 보인다고 전해 박근혜의 존재감 상실을 지적했다. 로이터는 세월호 참사가 박의 아버지인 박정희가 진행한 한국 경제기적의 가장 최악의 일부 측면을 축약해 보여준 것이라고 분석해 대한민국의 부패, 약한 규제, 느슨한 안전 기준 등의 연원이 독재자 박정희로까지 닿아있는 것으로 분석했다. 로이터는 박근혜의 당면과제로 세월호 유가족들이 요구하는 특별법 제정 문제로 교착상태에 빠진 정국을 풀어내는 일이라며 그러나 박근혜가 가진 좁은 인재풀을 한계로 지적했다. 로이터는 박근혜가 오직 극소수의 선별된 이들과만 아주 가깝고 강력한 유대 관계를 가지고 싶어하는 것이 최대취약점이라는 최진 대통령리더십연구원장의 말을 전하기도 해 현 정국을 풀어나가는데 박의 좁은 인재풀이 큰 문제로 대두되고 있다고 전했다. 로이터는 이어 박근혜의 학창시절, 육영수 여사의 피살로 프랑스에서 귀국해 퍼스트레이디 역할을 수행한 점, 아버지인 박정희가 살해당한 점 등을 열거하며 이런 것들이 박근혜 성격 형성과정에 영향을 끼쳤고 이런 성격이 현 정국을 풀어내지 못하고 있는 요인으로 봤다. 그 후 정치입문과정에 대한 사고와 사건들을 짚은 로이터는 박근혜가 의무감의 강박감에 대해 ‘ “하루도 내 자신을 반성하고 더욱 노력하지 않은 날이 없다”고 그녀는 말했다. “나는 내가 가진 이 소중한 시간에 내가 이룩하길 원하는 것을 성취해야 한다는 필사적인 긴박감을 갖고 있어서, 나는 끊임없이 나자신을 밀어부친다”’는 박근혜의 말로 기사를 마무리하고 있다. 하지만 국가가 자신 가족의 한풀이 장소도 아니고 더군다나 국가의 운영이 어느 가족의 유업잇기도 아닌 마당에, 더군다나 박정희 시대의 독재로 많은 인권이 짓밟히고 민주주의가 압살 당했던 것을 상기하면 박근혜가 해야 할 일은 자신의 아버지의 유업잇기가 아니라 독재자 박정희의 부정부터 시작하여야 하는 것이 아닌가 싶다. 세월호 참사로 수장당한 3백여 어린 학생들을 비롯한 희생자들의 시간도 박근혜의 시간 못지않게 소중했으며 그들도 이룩하길 원하는 것들 또한 많았음에도 불구하고 그들은 박근혜처럼 밀어붙일 시간도, 과정도 갖지 못하고 말았다. 지금은 박정희의 유업잇기가 아니라 세월호 희생자 영령들을 위로하고 그들을 보듬어주는 일이 먼저일 것이다. 이를 위해서는 유가족들이 원하는 수사권과 기소권이 보장되는 독립된 특별법 제정을 박근혜가 나서서 해결하고 세월호 진상규명을 하나의 의혹도 없이 낱낱이 밝혀내어 책임을 묻는 일부터 해야 하는 것이 아닐까 싶다. 박근혜가 세월호 참사를 어떻게 처리하느냐에 따라 세월호 참사는 사고 희생자가 될 것인지 학살당한 희생자가 될 것인지가 결정 될 것이다. 이는 곧 아버지를 답습하느냐, 아니면 아버지를 넘어서느냐의 물음 그것에 다름 아니지 않을까? 다음은 뉴스프로가 번역한 로이터의 기사전문이다. Seoul: South Korean President Park Geun-hye’s voice trembled as she tried to comfort parents gathered near a makeshift morgue to identify the bodies of their children, among the hundreds drowned in a ferry disaster. 서울 – 세월호 참사로 사망한 수백명 중 자기 아이들의 시신을 확인하기 위해 임시 시체안치소에 모인 부모들을 위로하며 한국 박근혜 대통령의 목소리가 떨려 나왔다. It was a rare display of emotion from the usually stoic 62-year-old – too rare, critics say, given the anger and grief that erupted nationwide over the sinking of the Sewol ferry and what was widely seen as a botched rescue operation. About 300 people, most of them school-children, were killed in the disaster last April. 이것은 보통은 냉정한 이 62세의 대통령에게 있어 드문 감정의 표현, 비판가들의 말대로 세월호의 침몰과 실패한 것으로 보이는 구조작업을 두고 전국적으로 일어난 분노와 비통함을 생각할 때, 지나치게 드문 일이었다. 그 대부분이 학생들이었던 약 300명의 사람들이 지난 4월의 참사에서 사망했다. Park is still struggling to reclaim the initiative in Asia’s fourth-largest economy. While she has more than three years left in office, South Korean presidents tend to become lame ducks mid-way through their single five-year term, adding urgency for her to lead the country beyond the tragedy. 박근혜는 여전히 아시아의 4위 경제대국에서 선도력을 재장악하기 위해 분투하고 있다. 아직 임기가 3년이나 남아 있지만, 한국 대통령들은 5년의 단임기간 중반부터 레임덕에 빠지는 경향이 있기 때문에 그녀에겐 국가를 참사에서 벗어나게 이끌어야할 긴급한 필요가 있다. Park’s detached and wary leadership style, which confidants and analysts say seems rooted in her own tragic past in which her father, a former president, and mother were assassinated, has been a handicap in healing a grieving and polarised nation. 측근들과 분석가들이 말하는 것처럼 전직 대통령이었던 아버지와 그리고 어머니가 암살 당한 자신의 비극적 과거가 그 근거가 되는 듯 보이는 박근혜의 냉담하고 의심 많은 리더십 스타일은 슬픔에 잠기고 양극화된 국가를 치유하는 데에 장애가 되어왔다. “She showed a really good gesture at the very beginning, but afterwards it seemed that she was not there,” said Kim Ji-yoon, research fellow and head of the Center for Public Opinion and Quantitative Research at the Asan Institute for Policy Studies. “처음에 그녀는 정말 좋은 제스처를 보여줬지만 후에는 그녀는 아예 부재(不在)하는 것처럼 보였다”고 아산 정책연구원의 여론개량분석센터장인 연구원 김지윤씨가 말했다. “She could have been more compassionate. That would help her, but maybe it’s not really her style,” she said. “그녀는 동정심을 더 보일 수 있었다. 그편이 그녀에게 도움이 되었겠지만 아마 이것은 실제로 그녀의 스타일은 아닐지 모른다”고 그녀는 말했다. 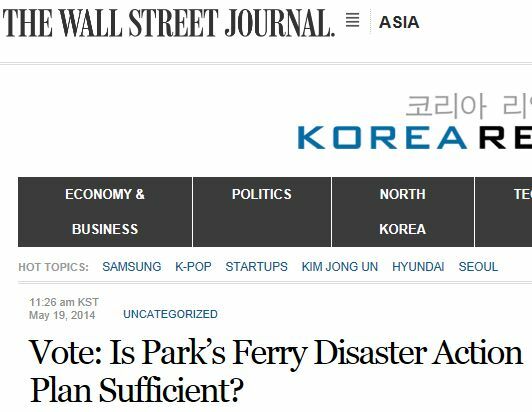 Unfortunately for Park, the ferry disaster and the government’s response have become the defining events of her term that began in February 2013 after a decisive election win. Her approval rating fell to as low as 40 percent in early July from 59 percent before the disaster, according to Gallup Korea. It recovered somewhat to 44 percent in mid-September. 불행하게도 박근혜에게 세월호 참사와 정부의 대응은, 결정적인 선거 승리 이후 2013년 2월에 시작된 그녀의 임기를 결정 짓는 사건이 되어버렸다. 갤럽코리아에 의하면 그녀의 지지도는 참사 이전의 59 퍼센트에서 7월초 40퍼센트로 낮게 하락했다. 지지도는 9월 중순 44퍼센트까지 다소 회복됐다. 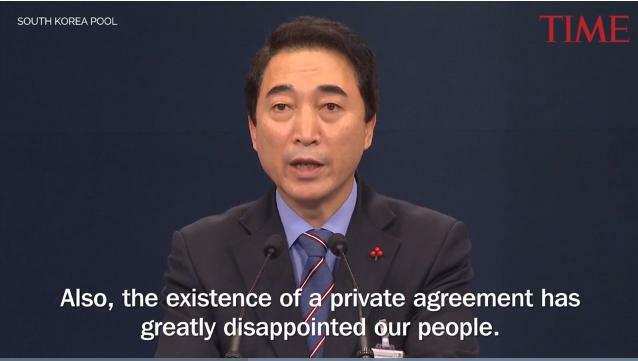 Kim Jong-in, an economist and former legislator who advised Park during her rise to power and presidential campaign, said the ferry disaster was a missed opportunity to show leadership. 박근혜가 권력을 잡을 때까지 그리고 대통령선거 운동기간에 걸쳐 그녀를 조언한 경제학자이며 전직 국회의원인 김종인씨는 여객선 참사가 지도력을 보여줄 수 있었던 기회였는데 이를 놓친 것이라고 말했다. “She should have seen that for what it was, and jumped in to solve the issue, and had she done that, she would not be in this confusion,” he said. “실제로 문제가 무엇인지 파악했어야 했고 문제를 해결하기 위해 뛰어들었어야 했으며, 그렇게 했다면 그녀는 이런 혼란속에 있지않을 것이다”고 그는 말했다. Son Sujo, an unsuccessful parliamentary candidate from the city of Busan for whom Park campaigned in 2012, said the president loathes conduct that can be seen as politically calculated, sometimes to her detriment, such as when she did not show more empathy in the days and weeks after the ferry sank. 2012년 박근혜가 선거운동을 도왔던, 낙선한 부산시 국회의원 후보 손수조는 박근혜가 여객선의 침몰 후 몇 주 동안 공감하는 모습을 좀 더 보여주지 않은 것에서 보여지듯 대통령은 정치적으로 계산된 것으로 보이는 행동을 때로는 본인에게 피해가 갈 정도까지도 몹시 싫어한다고 말했다. “What was needed was not for her to resolve the problem instantly but to be there to listen,” Son said. “필요했던 것은 그녀가 문제를 즉각적으로 해결하는 것이 아니라 그곳에 함께 하며 들어주는 것이다”고 손 씨는 말했다. The sinking of the overloaded and structurally unsound Sewol encapsulated some of the worst aspects of South Korea’s economic miracle set in motion more than five decades ago by Park’s father: corruption, weak regulation, and lax safety standards. 과적되고 구조상 불안정한 세월호의 침몰은 50년전 박근혜의 아버지가 진행한 한국 경제기적의 가장 최악의 일부 측면을 축약해 보여줬다: 부패, 약한 규제 그리고 느슨한 안전기준들. “We were able to see as a result of this incident the need to engage in a thorough renewal of our nation as a whole,” Park told Reuters in an interview on Tuesday. “이 사건의 결과로 우리 국가 전체에 철저한 개선이 필요함을 볼 수 있게 됐다”고 박근혜는 지난 화요일 로이터와의 인터뷰에서 말했다. Her immediate challenges are dealing with a coalition of victims’ families and supporters demanding an independent prosecutor to investigate the ferry disaster, resolving gridlock in parliament that has stalled other legislation, and expanding a limited pool of close supporters she can turn to for advice and appointments. 그녀가 당면해 있는 급한 문제는 피해자 가족들과 지지자들 연합이 여객선 참사를 조사할 수 있는 독립적인 검사를 요구하는 것을 타결하고, 다른 법안들의 제정을 지연시키고 있은 국회 교착상태를 해결하며, 조언을 받고 임용을 위해 그녀가 도움을 받을 수 있는 가까운 지지자들의 제한된 규모를 확대하는 것들이다. 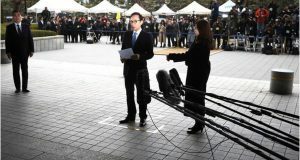 The small size of Park’s inner circle was exposed when she was unable to replace her prime minister after the Sewol disaster. Two nominees were forced to withdraw from consideration, and she ended up sticking with the incumbent. 박 대통령이 세월호 참사 후 총리를 교체하지 못했을 때, 그녀 주변의 핵심층의 규모가 아주 작다는 사실이 드러났다. 두 명의 후보자들이 후보에서 사퇴해야 했으며, 그녀는 결국 재임 총리를 붙들게 됐다. “It is probably her biggest weakness – that she likes to establish very close, strong ties with only a few selected people,” said Choi Jin, head of the Institute of Presidential Leadership in Seoul. “그것은 아마 박 대통령의 최대 취약점으로 그녀가 오직 극소수의 선별된 이들과만 아주 가깝고 강력한 유대 관계를 가지고 싶어 한다는 점이다”고 최진 대통령리더십연구원장은 말했다. As a school child, Park craved normalcy and tried not to stand out as the president’s daughter, one of her teachers said. 박 대통령이 학생이었을 당시, 그녀는 평범함을 갈망했으며 대통령의 딸로서 드러나지 않으려 했다고 그녀를 가르쳤던 한 교사가 전했다. 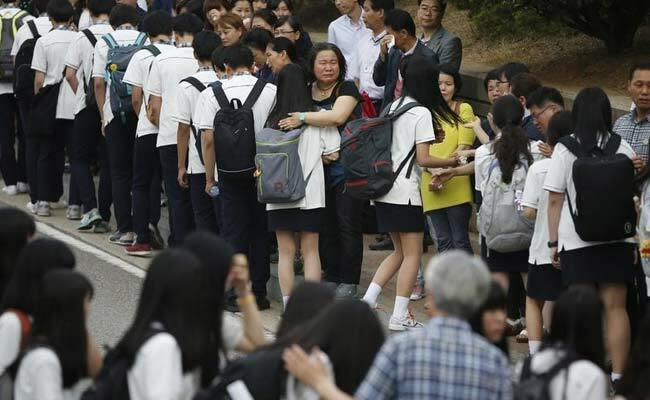 “Kids glanced at her lunch box and felt like she was no different from them after finding out she just brought sliced radish kimchi or an anchovy dish,” Kim Jae-sook, a nun who taught Park for six years at a Catholic school starting in 1964, told Reuters. “아이들이 그녀의 도시락을 곁눈질로 보았는데, 그녀가 깍두기와 멸치 반찬 정도를 가져온 것을 알고는 자신들과 그렇게 다르지 않다고 느꼈다”고 1964년부터 6년 간 가톨릭 학교에서 박 대통령을 가르쳤던 김재숙 수녀가 로이터에 밝혔다. Park cut short her studies in 1974 at the age of 22 when her mother, a beloved figure in South Korea, was killed by a bullet intended for her father. Park returned home from university in Grenoble, France, to take on the role of first lady. 박 대통령은 한국 내에서 사랑받던 인물이던 그녀의 어머니가 아버지를 겨냥했던 총탄에 의해 사망했던 해인 1974년 22세의 나이로 자신의 학업을 중단했다. 박 대통령은 퍼스트레이디의 역할을 맡기 위해 프랑스 그러노블에 위치한 대학으로부터 귀국했다. Five years later, her father Park Chung-hee, who came to power in a 1961 military coup and is credited with dragging South Korea out of poverty but at a high cost in human rights, was murdered by his intelligence chief during dinner. 5년 후, 1961년 군사 쿠데타로 권력을 장악했으며 한국을 빈곤으로부터 끌어냈지만 인권에 있어서는 큰 희생을 치룬 것으로 평가받는 그녀의 아버지 박정희가 저녁 식사 중 자신의 부하인 정보부장에 의해 살해당했다. “She’s endured and persevered. Some people focus on the aristocratic side of her leadership but I don’t interpret it that way. They don’t see the scars of Park Geun-hye’s suffering, which is what made her quiet and made it difficult for her to talk,” said Yang Young-tae, who was the family’s dentist when the young Park was first lady and would play tennis with her. “그녀는 역경에 굴하지 않는다. 일부 사람들은 그녀 지도력의 배타적인 면에 초점을 두지만, 나는 그렇게 보지 않는다. 그들은 박근혜의 고통의 상처를 보지 못 하는데 바로 이것이 그녀를 조용하게 하고, 말하기 어렵게 만드는 것이다”고 박근혜가 퍼스트레이디였던 시절 가족의 치과의사로 그녀와 테니스를 치곤했던 양영태 씨는 말한다. Notes from Park’s diary in a 1993 book speak of the mistrust she felt towards people seeking personal advantage and the sense of betrayal, after her father’s assassination, by those whom she had been made to believe were loyal to the family. 1993년 출간된 저서에 나오는 박근혜의 일기에는, 개인적 이익을 추구하는 사람들에 대해 그녀가 느낀 불신과, 자신의 가족에게 충성스러운 사람들이라고 여겼던 사람들에게 부친 사후에 느낀 배신감에 대해 쓰여 있다. “They say words are meant to express one’s innermost feelings, but many people that I have dealt with talk to conceal their thoughts,” she wrote. “말은 자신의 가장 내밀한 감정을 표현하기 위함이라고들 하지만, 내가 접한 많은 사람들은 그들의 생각을 숨기기 위해 말한다”고 그녀는 책에서 말하고 있다. Her entry into politics late in 1997 ended 18 years of seclusion and did not come easily. She anguished “with rage rising from the bottom of my heart” as the country slid towards default during the Asian financial crisis in 1997 before being bailed out by the International Monetary Fund, she wrote in a 2007 autobiography. 1997년 늦게 정치에 입문함으로써 18년간의 은둔생활은 막을 내렸으나, 쉬운 길은 아니었다. IMF 구제금융 받기 전 1997년의 아시아 경제위기 기간 중, 나라가 파산상태로 떨어지는 것을 보며, “진심으로 격노하며” 고통스러워했다고 2007년 자서전에 그녀는 적었다. She is single, dresses simply and has a 1970s hairstyle that reminds people of her mother, who remains South Korea’s most popular first lady, according to opinion polls. 그녀는 미혼이고 간소한 의상을 입으며, 여론조사에 의하면, 여전히 한국에서 가장 인기있는 퍼스트레이디로 여겨지는 자신의 어머니를 연상시키는 1970년대 헤어스타일을 고수한다. Park is northeast Asia’s first female head of state. 박은 동북아시아의 첫번째 여성 국가수반이다. She is a rarity in a country where few women rise to the top of big organisations, and where the wage gap between men and women is the widest in the Organisation for Economic Co-operation and Development. 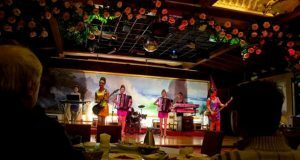 North Korea has occasionally hurled sexist insults at her. 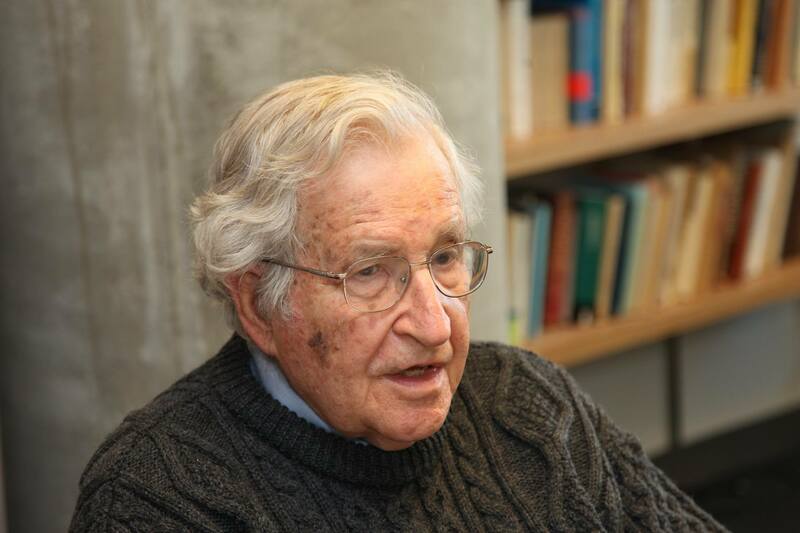 그녀는 여성이 큰 조직의 장에 오르는 경우가 거의 없고, OECD국가중에서 남녀간의 임금격차가 가장 큰 나라에서 보기 드문 케이스다. 북한은 종종 그녀에게 성차별적인 비난을 던져왔다. While campaigning for another candidate in 2006, a man attacked Park with a knife, gashing her face and leaving a scar. 2006년 다른 후보 지지캠페인중, 한 남자가 박근혜를 칼로 공격해서 얼굴을 베고 상처를 남겼다. Park was sweeping about ambitions for her presidency: leave a country that is economically resilient, culturally richer, better prepared for unification with North Korea and safer for everyone, she told Reuters in the interview. 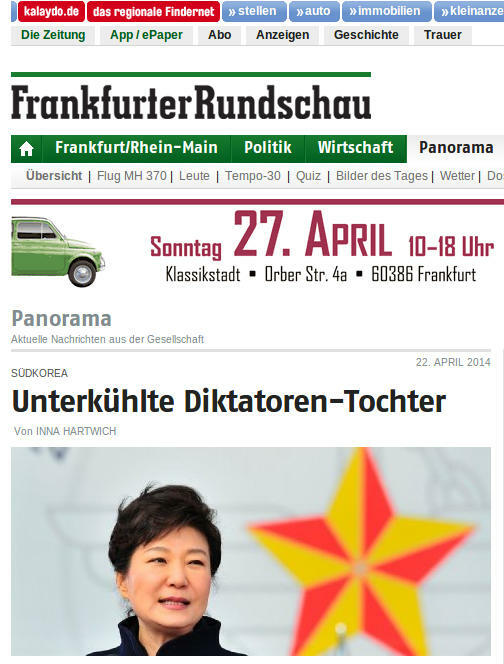 박근혜는 대통령직에 대한 야망을 쏟아냈다; 경제적으로 회복력있고, 문화적으로 더 풍성하며, 북한과의 통일에 더 잘 준비되어 있으며, 모두에게 안전한 나라로 만들겠노라고 로이터와의 인터뷰에서 말했다. Asked what she learned from her parents, Park cited her father’s sense of duty. 부모에게서 무엇을 배웠는지 질문받았을때, 박근혜는 아버지의 의무감을 언급했다.